I don’t remember when loving Mom became a burden. Tiresome. An obligatory love and loyalty that once led me to tell a co-worker, “Probably indifferent,” after she asked me how I would feel when my mother died. I do, however, remember the last time she called me, which was October 12, 2002. Sometime during that weekend, two days after her 67th birthday, Mom collapsed on her bathroom floor after suffering a stroke. The brain bleed ravaged her long- and short-term memory, as well as cognitive and physical abilities, and she never fully recovered. Gone forever was the mother I had known for more than forty years; it was as if she had died and was replaced by someone I barely knew, let alone understood. In My Mother’s Room: A Memoir is a reflection of my relationship and caregiving experiences with my mother during the last nineteen months of her life, a hell-on-earth existence that was her curse but my redemption. Now I gotta go check out your blog. I like the premise of your book. Not that it’s good, I mean it sounds hard, what you went through.. Thanks, Tereh, I really appreciate the read. While the time between my mom’s stroke and death was very difficult, I gained so much perspective of and appreciation for the woman who raised me. Plus I felt as if I had one last chance to atone for my side of the mother/daughter angst in our relationship. Jane, I’m glad you liked my post on letting go. A brief glance at your blog leads me to think you’ve learned something about that yourself. I look forward to reading more. PS have you read The Mercy Papers by Robin Romm? or The Mother Garden? Thank you, Jane, for stopping by my blog: http://www.babyboomersandmore.com. Isn’t the Blog phenomena wonderful?!! Being able to get connected with others, such as yourself, with life experiences about which they are willing to write is very helpful for one and all. Thank you for undertaking your Memoir. I am now following your Blog and will read the past, and future, entries. From: Boomer98053, Irene in Redmond, Washington. I really like your blog. I have often thought about writing about my mother and our relationship through out the years. But , have never been brave enough. Good for you! I”m sure writing things helps with seeing clearly. Also thanks for following my blog. I have read every word. Write some more, please. Thanks! More coming soon. And I look forward to checking out your blog also. Your writing flows beautifully. Thanks for the follow; I look forward to reading more of your work. You are a courageous young woman, and I commend you for writing your story. I took my mom to the emergency room four years ago, never believing she’d never return home. Fortunately, she is still in a nursing home. Her body is failing, but her mind is strong. It seems your story is common to those of our generation, but not many take the time and blood, sweat and tears to put it to narrative. Good luck to you. Just in reading the intro I’m intrigued. I look forward to diggin in further, when it’s not 4:46 am and I’ve been up all night working :). By the way, your mother’s pics are awesome. Hi Jane, Leaving the memoir for bit is necessary ’cause the writing and the memories are painful. Then also there’s getting the courage to continue because I need to get my head around making it more interesting and readable. All in good time. The writing of the cookbook is done. Waiting for the illustrations, the book cover and then the formatting for Smashwords.com. I’ll be telling the whole world when it’s finally done. It’s like giving birth to a baby! And the memoir is like having twins. Jane, I’ve tried twice to “follow” your blog and it will not accept my email. I would like to keep in touch (you liked my post on a post regarding my own experience). I wanted to mention your blog in a post so I’ll just book mark you and come back from time to time. Thank you so much for stopping by my blog and your “like”. As you well know, writing a memoir is not easy work, to say the least. I look forward to reading all that you have written. Thanks for visiting. I look forward to reading your memoir. My father had strokes at the end, but it was before “My Stroke of Insight” by Jill Bolte-Taylor. Have you read it? Tremendous resource. Looking forward to reading more of your blog. Much of mine is about my mother with Alzheimer’s and my sister who has passed. It’s my therapy. 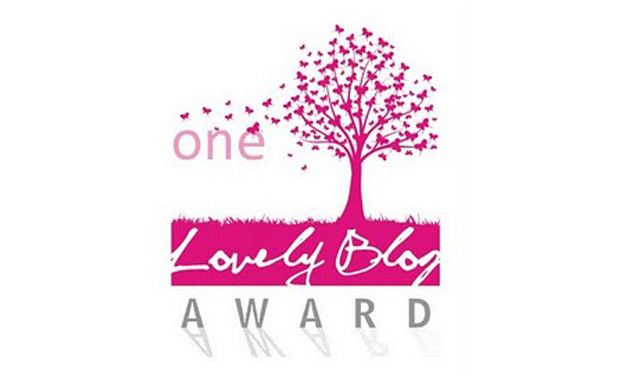 I have nominated you for the “Silver Quill Blogger Award”. Please see today’s post on my blog for details. I have really enjoyed reading your blog. You’re welcome. I like to say when I enjoy someone’s blog and to pass along the information to share with others. Enjoy the day! I will definatly read this book and comment then. I am Peggy Mcclain barr and you wrote a nice review of my book Mama Said- a memoir. I am really looking forward to reading your work. Thank you! I’m enjoying your blog as well. I love your “Novel” approach. I recently, finally, felt it was time for me to write something in addition to my Blog so I have started to organize my thoughts for a fictional novel (redundant?) that contains real stories, altered a bit to protect the victims, but real nonetheless. I look forwarding to reading your Novel. This is certainly the 3rd blog, of your blog I really browsed. Hi Jane, Thanks for reviewing my product. Your blog(s) were great!! I started and couldn’t stop! I felt your emotions and had tears in my eyes. I have been a nurse for 35 years and have dealt with “caregiving” personally. I have read countless articles on “what you should do”. And I keep repeating– NO ONE knows what to do, who what you will do until that time arises. Each situation and family dynamics are so different and there are “no right” or “wrongs”. Keep doing your best!! Blessings to you!! Thanks so much for recognizing each person’s situation is unique. Caregivers need support, not judgment, because everyone’s doing their best with what they know and have to work with. I really appreciate your comment, and my best to you as well! Not any easy topic but it will be very good for your soul and if you are anything like me once you get writing about the lessons learned along the way, you will discover so many more things you have learned that went by unnoticed until penned. While caring for her mother in various healthcare settings, an emotionally distant adult daughter learns to love her mother for the woman she was, not the woman she always wanted her to be.